MANLY United striker Scott Balderson is adamant Sutherland will provide a stern test this Saturday night at Seymour Shaw Park. The Sharks are currently sitting in 12th spot, but Balderson believes they are capable of finishing in the top five. “We won’t underestimate them, they always work hard and beat us in pre-season,” Balderson said. “If we are going to be serious title contenders, these are the games we have to win. 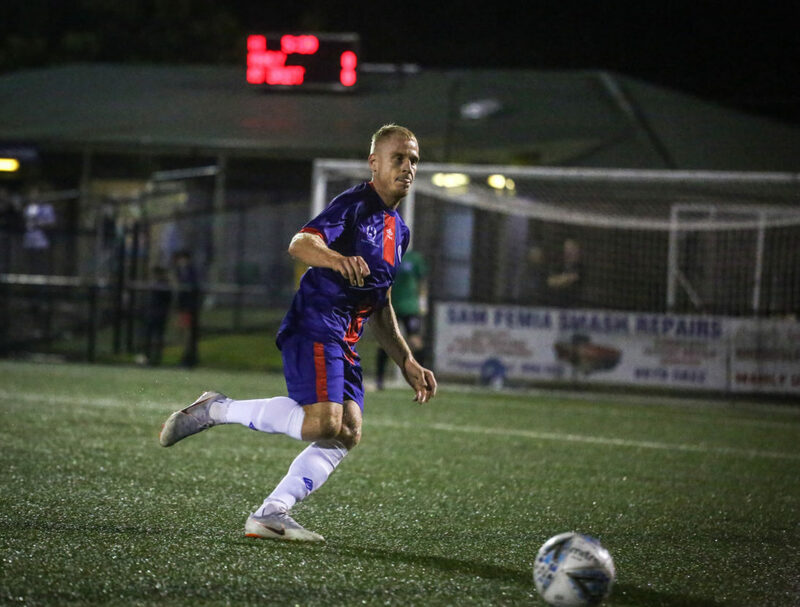 “Having the right mentality is key, we have shown in recent weeks (wins over Marconi and Blacktown City) what we are capable of…we just need to produce each week and look to keep building.” Balderson is also relishing playing up top for United. “It isn’t a foreign role for me, I played as a nine when I was at Sydney Olympic a few years ago,” he said. “I pride myself on my versatility and getting stuck in. “As long as I contribute to the team, I’ll be happy.” Kick off in the Battle of the Beaches is 6.30pm.